U.S. fire departments respond to an estimated 210 home structure fires that begin with Christmas trees each year. 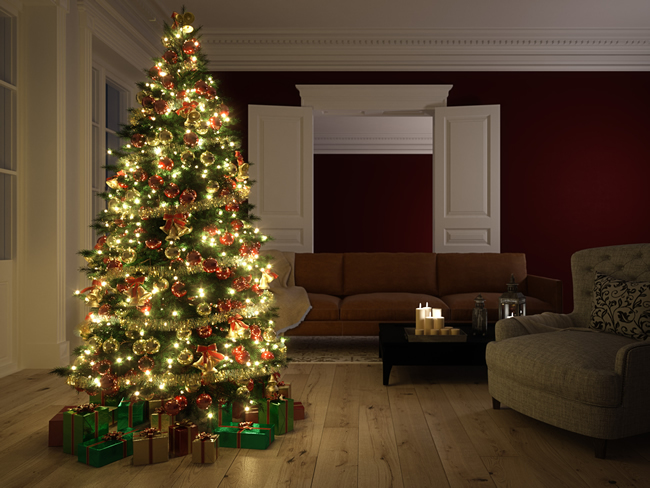 Home Christmas tree fires cause an average of seven deaths, 19 injuries and $17.5 million in property damage annually. While Christmas trees are a traditional part of the Christmas holiday, they can also be a major source of fuel in a home fire. Palm Beach residents need to remember to take caution to prevent Christmas tree fires from causing damage to their property, homes and lives. According to the NFPA Data Snapshot, from 2009-2013, an estimated 210 residential home fires were reported to fire departments in the U.S. around the Christmas season. Christmas tree fires cause an average of $17.5 million in property losses each year. The majority of those residential fires – 81 percent – took place during the months of December and January. Electrical failures or malfunctions were factors in 30% of Christmas tree fires. In 24% of the Christmas tree fires, some type of heat source, such as a candle or equipment, was too close to the tree. South Florida-based Advocate Claims Public Adjusters is suggesting the following five tips to keep you and your property safe this Christmas. Add water to the tree stand and check daily to ensure it stays fresh. Use lights that have the label of an independent testing laboratory. Some lights are only for indoor or outdoor use. Be sure to carefully read and follow labels. Get rid of the tree after Christmas. Dried-out trees are a fire danger and should not be left in the home or garage, or placed outside against the home. Check with your local community to find a recycling program. Most homeowner insurance policies cover home fires, large and small. If you want to be sure, reach out for a free policy review and consultation. In the event you experience a Christmas tree fire or fire of any kind to your property in Palm Beach this Christmas, call Steven Venook at Advocate Claims Public Adjusters at 954-914-7066.